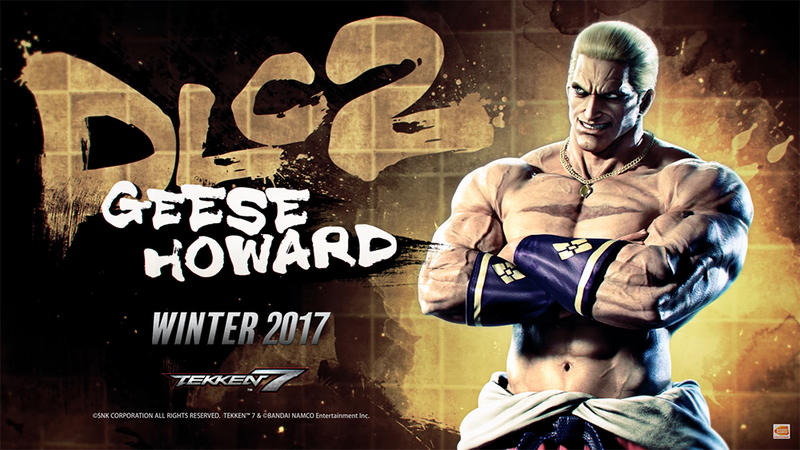 The first guest character from the Tekken 7 Season Pass was just announced at EVO 2017 by Tekken game developers Katsuhiro Harada and Michael Murray, and it is none other than Geese Howard from Fatal Fury (also King of Fighters and Art of Fighting). He will be make his debut this winter in DLC pack 2. As you will see in the trailer, Geese Howard’s insertion brings a very cool looking stage, new music, custom outfit, and more. And his design looks amazing! This is shaping up nicely. Watch the trailer.